Guest workers of the United Arab Emirates embody multiple worlds and identities and long for home. In the United Arab Emirates, foreign nationals constitute over 80 percent of the population. Brought in to construct the towering monuments to wealth that punctuate the skylines of Abu Dhabi and Dubai, this labor force works without the rights of citizenship, endures miserable living conditions, and is ultimately forced to leave the country. Until now, the humanitarian crisis of the so-called “guest workers” of the Gulf has barely been addressed in fiction. Deepak Unnikrishnan delves into their histories, myths, struggles, and triumphs. Unnikrishnan presents twenty-eight linked stories that careen from construction workers who shapeshift into luggage and escape a labor camp, to a woman who stitches back together the bodies of those who’ve fallen from buildings in progress, to a man who grows ideal workers designed to live twelve years and then perish—until they don’t, and found a rebel community in the desert. I can’t quite remember where I heard about Temporary People. Book Riot, I think. Liberty? Probably. What I do know is that I marked it down as a May release and had a panic when BookTwitter let me know the release date had been March 14. Drat. Luckily, Restless Books’ very, very lovely PR person approved me for a digital galley after the fact so I could power read it during breaks and evenings at my conference last week. 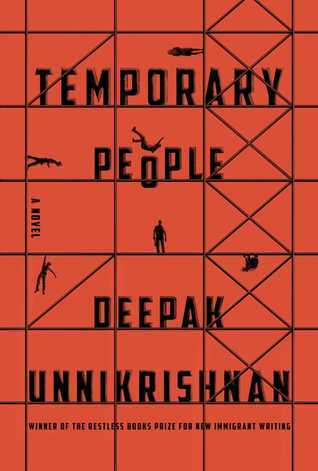 Temporary People did win the Restless Books Prize for New Immigrant Writing so I didn’t want to pass it up. Unnikrishnan has presented a very striking collection of linked short stories, telling fable-like stories about the exploited workers imported to build the glittering skylines of Dubai and Abu Dhabi. The use of magical or fable-like elements is a click or two stranger than Salman Rushdie’s usual (if you’ve read him). Workers turn into suitcases and passports to escape, a woman develops a talent for patching together the men who fall from skyscraper construction sites so that they don’t die on company time or property, an elevator develops a shocking proclivity, and the roaches that invade the crumbling homes of workers start taking on human-like traits. The most devastating and creative stories involve the bioengineering of workers who grow on vines, from seeds, and “die” after a preset number of years creating – the “perfect” labor underclass that won’t get ideas, uppity, or demand much compensation. Characters weave in and out of different stories. “Dreamers” are caught between a country that won’t acknowledge them as equal citizens – i.e. the problematic term “guest workers” – and the families back home in India or beyond who depend upon their paychecks. I had a bit of trouble understanding a few stories, likely because I missed a cultural reference that would make a fable-like situation clear, but the overall collection is imaginative and devastating. It’s a rough read. Trigger warning for a few scenes of sexual violence. Dear FTC: I received a digital galley of this book from the publisher via Edelweiss. Thanks so much, Restless Books! By my count, novels about non-combatants in World War II seem to be on a trend. It’s not a particular corner of fiction I gravitate toward, possibly because I’m reasonably well-read on the non-fiction side. 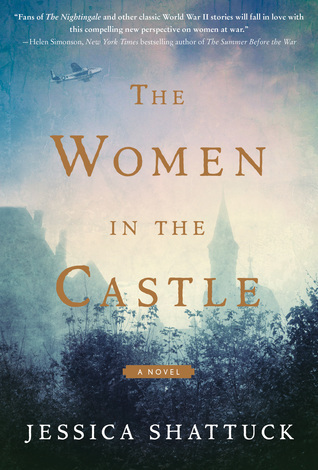 But I had an opportunity to read an advance copy of The Women in the Castle, so decided to give it a try. I think that a reader who finds books like All the Light We Cannot See and The Nightingale to be their jam would also like The Women in the Castle. The writing is very good, the characters are compelling, and Shattuck has done a lot of research into the psychology of why people who seemed to be decent people became complicit in the atrocities of the Third Reich. However, the book as a whole just didn’t do it for me. The prologue is very clunky and I wasn’t that interested in the adults’ stories in that section, many of them from men who make few appearances in the book. The timeline jumped back and forth, over huge swaths of time, and between characters’ points-of-view. It made the story feel disjointed and ruined the plot tension in at least two places (and spoiled a plot point for those of us who know anything about immediate postwar Germany and Central Europe). What did interest me very much was the point-of-view given to us by Martin, Benita’s son, who is about 6 or 7 when the war ends but we aren’t given that much from that particular character at that point in time. The Women in the Castle is a good book but it’s audience definitely wasn’t me. Compared to recent reads like Pachinko, Everything Belongs to Us, and Rabbit Cake there were too many things that weren’t to my taste. Dear FTC: I read a galley copy that was sent to my store. In his poems of memory and displacement, Iranian poet Mohsen Emadi charts his experience of exile with vivid, often haunting, imagery and a child’s love of language. Lyn Coffin’s translations from the Persian allow Emadi’s poems to inhabit the English language as their own, as the poet recasts his earliest memories and deepest loves over the forges of being “someone who goes to bed in one city and wakes up in another city.” Alternating between acceptance and despair, tenderness and toughness, he writes, “I wanted to be a physicist,” but “Your kisses made me a poet.” Mohsen Emadi is a powerful witness to life in the present times, and Standing on Earth introduces a major world poet to an English-language readership for the first time. 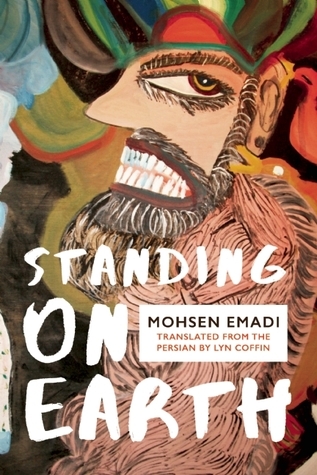 Standing on Earth is a beautifully written and translated collection of poems centered on loss and displacement. While you could read “the lover” invoked throughout as an actual person – and may, in some instances, be referencing someone specific – I feel like the poet means to reference country and culture. The speaker has been forcibly removed from his culture and so mourns it like a lost lover. Lyn Coffin’s translation is excellent. Read for the 2017 Read Harder challenge. Data meets literature in this playful and informative look at our favorite authors and their masterpieces. 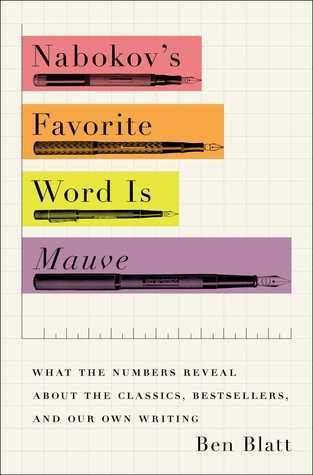 Nabokov’s Favorite Word is Mauve is a fun intersection of statistics and literature. His methodology feels less rigorous, in my opinion, than that of the authors behind The Bestseller Code, but this is far more entertaining. It’s very much a “I wonder what the percentages would look like if I searched for [insert word]” book: What word does an author use most frequently? Do authors follow their own writing advice? And do American fanfic writers try to out-British the Brits with their slang? (That was a fun one.) 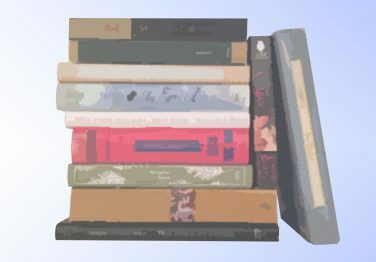 Blatt did try to get a wide-ranging sample of books – bestsellers, Classics, critical hits, etc. although he didn’t get much into genres outside the authors who have crossed into the mainstream. I have to rap his knuckles a bit about the Gender chapter: it wasn’t terrible, but an acknowledgement that he was sticking with the binary for “x reason” would have been a start. Those conclusions felt a bit too facile. 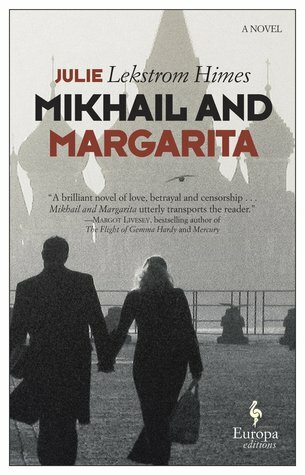 Ranging between lively readings in the homes of Moscow’s literary elite to the Siberian Gulag, Mikhail and Margarita recounts a passionate love triangle while painting a portrait of a country whose towering literary tradition is at odds with a dictatorship that does not tolerate dissent. Margarita is a strong, idealistic, seductive woman who is fiercely loved by two very different men, both of whom will fail in their attempts to shield her from the machinations of a regime hungry for human sacrifice. Debut novelist Julie Lekstrom Himes launches a rousing defense of art and the artist during a time of systematic deception, and she movingly portrays the ineluctable consequences of love for one of history’s most enigmatic literary figures. Well, this underwhelmed. If I hadn’t read previously read The Master and Margarita then this debut would have just been another historical novel about Soviet writers in the 1930s and I probably would have passed on it. Due to the Bulgakov link, I was expecting something very much more…colorful, at minimum. The plot in Mikhail and Margarita takes a while to get going. Once it did pick up speed, the fascination for me was the dizzying, Kafkan “The Trial”-like machinations of NKVD and what it makes people do, but not the characters of Bulgakov or Margarita. Mikhail and Margarita is a book definitely intended for fans of The Master and Margarita, because it’s been a while since I read that and I was having some trouble piecing together specific callbacks and phrases. More importantly, I found myself wishing that I was more familiar with Osip Mandelstam’s work. 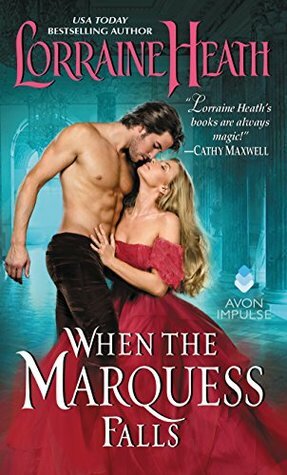 When the Marquess Falls is a very bittersweet and heartbreaking prequel, even if it’s listed out as #3.5. I’ve only read Falling Into Bed With a Duke (the first in the “Hellions of Havisham” series) but its opening chapter/prologue is enough to tell you what has to happen in this book. The relationship between Linnie and Marsden seems natural, with just the right amount of plot for a novella without all the tiresome will-we-won’t-we that occasionally infests the romance genre (a little is fine for the tension, but some over do it to the extreme). You’ll need the Kleenex. Dear FTC: I received a digital galley of this novella from the publisher via Edelweiss. Alert: The Idiot has Bad Flap Copy Syndrome. It blows almost the entire plot, so FYI (see above). Our narrator and protagonist, Selin, is starting her first year at Harvard. She has two roommates who both strike her as strange in their own ways. She’s mystified by the new email system she’s told to use (side note: I started college in 1996 at the University of Iowa and, yes, that stuff was new and weird if you hadn’t used it before). Selin tries out for the orchestra and finds that everyone plays violin. She’s constantly unable to take classes that interest her (side note two: the “audition” system of picking college classes makes zero sense to me but apparently this is a thing?). She’s pushed into volunteering as a math tutor that lead to several scenes of increasing absurdity like a Gogol short story. However, in her Russian class, she develops two important relationships: Croatian-American socialite (?) Svetlana, who becomes what appears to be Selin’s best friend, and Hungarian international student Ivan, in his last year of undergrad. The Idiot a very readable book, with excellent scenes and description. I had previously enjoyed Batuman’s The Possessed, a book of essays about translation and Russian literature, and I remember thinking I’d like to see a novel from her. The Idiot is a true Bildungsroman, a campus novel about a intelligent, naive young woman’s first year at Harvard University. First experiences, first roommates, first new friends, and first love. The novel seems almost plotless at times, just the record of one year in someone’s life. 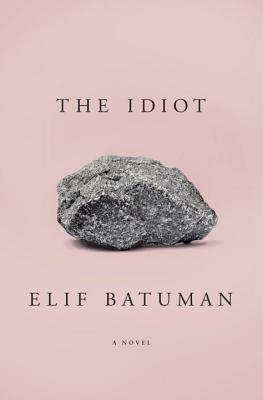 I was very interested in the title, which reminded me of Dostoyevsky’s The Idiot, about a young man trying to experience life (or find himself) who really gets the short-end of the stick when everyone assumes he’s an idiot because he gives everyone the benefit of the doubt, as does Batuman’s Selin. I have some reservations about the ending. It isn’t terrible but I didn’t like it very much. It felt like the novel just ran out of gas and ended. Dear FTC: I received a digital galley of this novel from the publisher via Edelweiss. 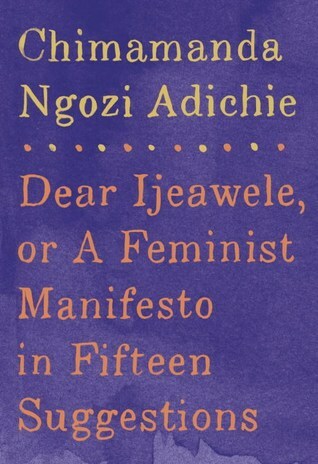 A follow-up of sorts to We Should All be Feminists, Chimamanda Ngozi Adichie has published her response to a friend’s request for advice. Specifically, how to raise a little girl as a feminist. Dear Ijeawele is a beautiful essay in 15 points, both specific and general in its advice. Adichie has beautifully thought-out responses to the request for advice, but sprinkled throughout are many instances of a wonderful female friendship.